Today we are giving away some tips that PickASO shared in its blog to boost the App Store Optimization for your Google Play Games. Don’t miss it! 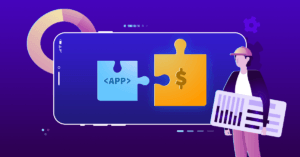 If you are a mobile marketing professional and work on App Store Optimization, you already know how difficult it is to find original ASO articles. We tend to read the same information over and over again. You may also know how frustrating it is to be doing the “right” thing for your game to grow organically and yet you are not getting any results. Mobile games represent 74% of users’ expenses on apps for both Google Play Store and App Store, according to App Annie’s data (2018). This means that climbing the ladder organically through ASO is much more complicated due to the high number of competitors. Therefore, mobile games are the perfect field to test strategies that go further than those that have become standard on all ASO guides. Quoting some of them: “use all the characters available in the Title”, “use long-tail keywords to rank better in your category”, “prioritize keywords of your niche before aiming to rank for keywords that have higher traffic”. There are some alternatives that I’ve tested that have had an effect on concrete games, so its efficiency is kind of random, depending on the game and its current situation. As a colleague of mine used to say: “we can’t take this advice as a mantra”, as it’s not contrasted information that works in all cases. However, if you have tried everything and haven’t succeeded, maybe this article will be useful for you. Apart from the veracity of those messages, there’s a component that’s usually left out because it’s thought to be impossible: Could those apps be ranking for those keywords? You can do a test that I did and turned out to be successful: place a low-traffic keyword in screenshots that doesn’t appear anywhere else in the app listing but the image (make sure it doesn’t appear in user reviews). It’s important for it to be low-traffic because it’s the case on which I got results. The boost was immediate and it was constant until I deleted that keyword. Although I didn’t get more installs, that reaction is odd and it’s a new path that I will try to explore as soon as possible. As many of us know, when we start writing a description, it can be difficult to read. This causes a challenging relationship with the developers, as they don’t understand why they are reading a description like a robot. Once we achieve (through blood and sweat) to “write properly” with the developer’s permission, why shouldn’t we approach it in a definitive and effective way? Our next tip is a tool offered by Google for SEO strategies and it has been used in ASO for some time now. API Google Natural Language is a tool that, through text interpretation, tells us how Google categorizes our app within all Google categories. We’ll focus on “Categories”, as the other three options could be used for a whole new article in terms of SEO syntax and semantics, which is the primary subject of the tool. We can see that Bubble Shooter Legend has a score of 0,92 in Casual Games (its category) and 0,94 in Online, which is a general category. Measurement goes from 0,5 to 1, understanding that from 0,8 Google starts considering you. Therefore, Google has the description of this game perfectly clear when it comes to ranking it according to the category. Homescapes barely gets to a 0,52, in a really general category, which doesn’t help its specific ranking. In crowded niches such as casual or strategy games, most of the games know that tool and use it to rank better. If you don’t know it, let’s start approaching your descriptions so this beautiful machine reads it. The only inconvenience is that it only works in English, but it will open up to new languages in the near future. I believe that the efficiency of a particular ASO action loses importance when everybody in the market does it. You can read everywhere that you should make the most of the length allowed by Google in every field to place the keywords that we’d like to rank for. Then, we can include keywords related to the keywords that we’d like to boost and also give us visibility. However, you may be tired of racking your brain because you don’t stop repeating keywords to get the density you need, and also trying to cover 4000 characters. Maybe it’s time to try the opposite: reduce the length of your description to 800 to 1000 characters keeping the established density. Therefore you can get rid of the excessive words that you only use to fill in, something that Google can also detect as spam. In fact, you can try this with Google’s API Natural Language, and if you get a good rate, let it be. Maybe you’ll receive a pleasant surprise. This ASO strategy follows a design pattern: less is more and it can be interesting to test it when you work in a very specific niche and you know where do you want to be. Everything is OK in ASO as long as it works. It has already been proved that user reviews count in order to rank for keywords, but… How can we control that? It’s difficult, but not impossible. We can do the trick by making our users write reviews using keywords that we’d like to boost. To do so, you should use the help of a developer, as there’s some content in our game that needs to be changed. Try using an interesting keyword for your app in some of the in-apps that your loyal users buy the most. Instead of “Basic Pack” why don’t you try changing it to “Heroes Arena Pack” or “Advanced Pack” to “Epic Heroes Pack”? Besides from being an influent ASO factor, we can make that the user writes the name of the pack if s/he has to write a review. This will help you to rank for those keywords. Sometimes there are bugs in our apps and, instantly, a horde of furious users appear complaining and leaving bad ratings. Make the most of this situation by placing keywords on different levels of our game, so they will name it either if they love it or hate it. Try changing the name of your level 15 “skull mission” to “1001 shots mission”. That way we’ll have a keyword that will be repeated in reviews. Everyone working in this industry knows that once we reach .a certain stability it’s hard to scale. These tricks or tests can be useful for games that have reached said stability, after having tried (unsuccessfully) to change titles, short and long description, according to the ASO guide. As I mentioned before, there are cases on which I have obtained results by using these tricks, but there are some on which I haven’t. It’s a matter of experimenting and taking risks, as it’s an important part of our ASO work.